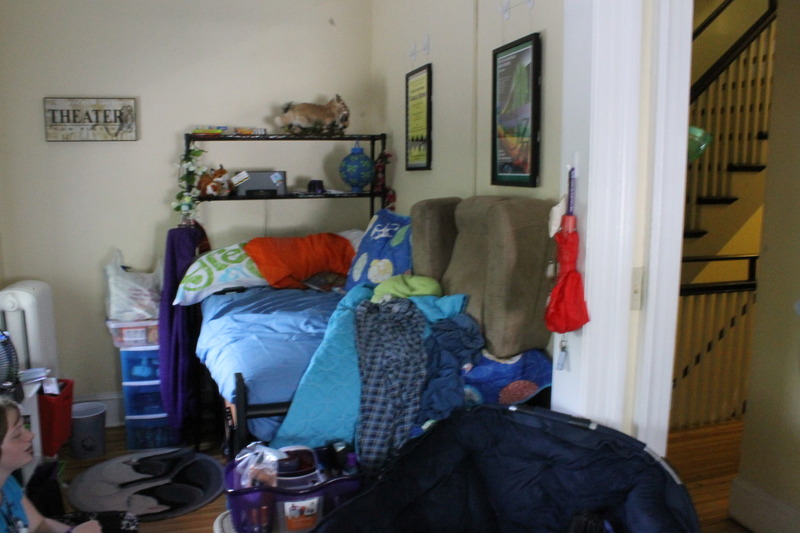 So, as one of the select few freshman of the 2016 class to have been placed in a formerly upperclassman hall, I can offer a bit of insight into what it’s like in a small, cozy residence house at Saint Rose. Mind you, all of these opinions come from me and do not reflect those of the other bloggers or the faculty. First off, most of the houses, including Golub, are located towards the center of the campus, which means no long “Brubacher walk”. Being a music student, it’s nice to know that I only have to walk about six minutes to get to my classes in one of the buildings farthest from the residence halls and back. Second, the rooms have so much more space allowing me to bring more of my things from home and make a new living space more like my old room. It’s a good way to transition from home to college. Or in some cases, it allows you to add a futon to the room like my friend and room-neighbors Molly and Liz did, or just have more room for dancing or games or whatever else you want to do! Third, there are only 19 other people living with you, and less people means less troublemakers and closer-knit relationships. If you want to invite your friends from Lima or Bru, there’s no security check. Just invite them in. I know we have some honorary Golub-ers because they come here almost everyday to hangout. Fourth, we have our own personal kitchen stocked with appliances so we don’t have to bring our own microwave or refrigerators. The refrigerator is for anybody to use and that’s nice because there’s a stove to use right nearby. Living in Golub is like living at home without your parents, but at a constant sleepover with your friends. It’s been a privilege to live in Golub and I’m glad I got in. Most of us love each other’s presence in the house. I like the smaller house and amount of people especially, because I’ve never lived with more than my parents so I’m used to it being less crowded, and I like it better that way. A note for any incoming freshman who want to get into Golub next year: remember that there’s only 19 students (plus one R.A.) placed here and it’s on a “first-come, first-served” basis. 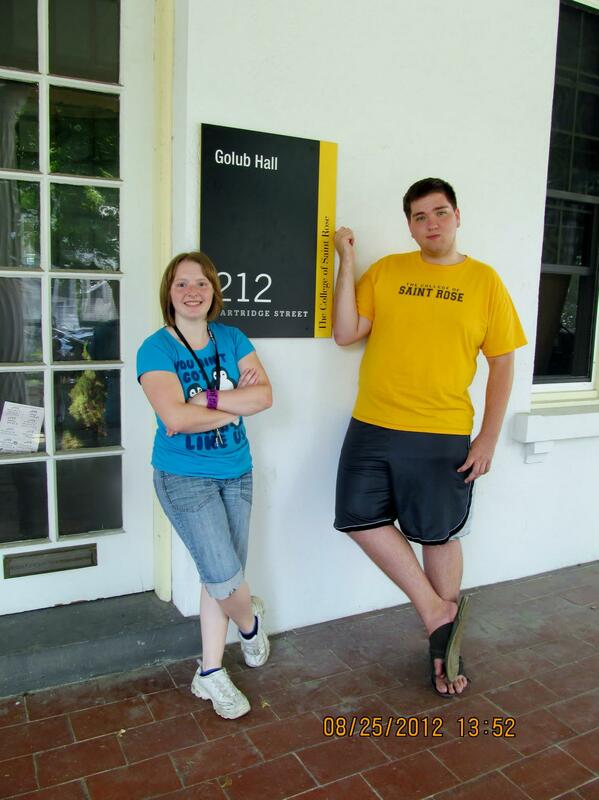 I was one of the lucky kids from the first orientation session, when they first told us that Golub was open for freshmen, that got to look around. When I came to school hear a million years ago, all first-yer students lived in houses and I was fortunate to start out in Fontbonne. Lima was sort of new and upper class students considered it a “luxury” to live there. You are right, Corey; living in those small houses is a glorious way to make the transition from family home to college. It would be great if all first-year students could share your experience. I loved it.